Hard luck to our hurlers who were defeated on what was an historic first appearance in the intermediate championship away to Clontarf. 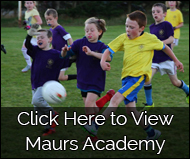 In an exciting match Maur's were made rue a series of missed scoring opportunities and despite their best efforts after half time were unable to close the gap, losing by six points. Our Under 14 girls hosted the same team from Barrógs in camogie and football this weekend. They played very well and came out on top in both codes. Easter Camp 2019 registrations are now Open! 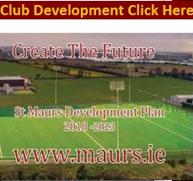 Download application form below or simply follow the link to our BRAND NEW online registration and payment service. Book early to avoid disappointment. Places are limited. Girls academy (4 - 7 year olds) continues this evening 6-7pm. New comers and beginners welcome too.